Europe is speckled with lovely little pocket villages that look as if they bloomed straight out of a fairytale. Visiting one of these magical locales is like stepping back in time. Many villages have architecture and history dating back to medieval times, and can provide a stunning change of perspective for travelers from relatively young countries (like the United States). And they’re unfailingly picturesque. Time may have skipped over these towns, but you shouldn’t. Here are some of my favorites. City-sized with village charm, Bruges has a lot to offer, especially for the romantic. Stroll along its canals and take in the gingerbread buildings, charming squares, and medieval churches. Enjoy a meal at one of the several Michelin-starred restaurants, and share a kiss with your sweetheart on the bridge over the Minnemeer lake – it’s said to bring everlasting love. One of the few remaining walled medieval villages in Germany, Rothenburg is perhaps the most immersively storybook village on this list. The crowds that pack the walls – especially in the summer – seem to agree, but I promise it’s worth the hype. Colorful half-timbered houses surround the fountain in the town square, and the church boasts the finest woodwork in Germany. With its thatched roof cottages, verdant gardens, and romantic canals, it’s no wonder Giethoorn is known as “the Venice of Holland.” Giethoorn forces its visitors to relax and take the slow lane – the only way to get around is by canal or footpath. Enjoy the change of pace and take your time basking in the Geithoorn’s charm. The small, 16th-century village of Hallstatt is reflected beautifully in the crystal waters of its eponymous lake. Take a cable-car up to the breathtaking Skywalk over the lake, tour the ancient salt mines, or visit the Charnel House chapel, which is home to more than 1200 painted skulls. For the adventurer, Hallstatt offers world-class climbing, mountain biking, hiking, and skiing. Most people have heard of Gruyère cheese. Far fewer know it comes from a charming village in Switzerland skirting a 13th-century castle. Visit La Maison du Gruyère and see how the cheese is made, go for a beginner-friendly ski trip, and of course, indulge in some fondue. Most villages in France’s Alsace region are charming. Colmar is another thing altogether. It shares the half-timbered houses and enchanting canals of its German counterparts just over the border, but incorporates some of the grand stonework of old France. In fact, Colmar was so beautiful, armies in World War II took care not to bomb it, preserving a rare bit of that region’s pre-war history for the modern day. Dinan is Brittany’s medieval gem. Built along the winding River Rance, Dinan has fantastic seafood to go along with its half-timbered buildings and cobbled lanes. Brittany was originally settled by Celtic peoples, and the locals are very proud of their dual-heritage. You’ll find many speaking their own language – Breton, rather than standard French. Reims may be best known for Champagne, but it’s also home to a charming architectural mix of ornate chateaus and classic French townhomes. Don’t pass up the High Gothic cathedral, built on the spot where the first king of France was crowned in 496. The vineyards outside the central city boast adorable clusters of provincial cottages, most with their own family chapel. Cascading, brightly-colored houses, fresh seafood, and trellises of Bougainvillea are a fairytale setting I can get behind. Nestled into a cliff on the stunning Amalfi Coast, Positano offers little to do besides feast on local cuisine, enjoy the beach, and explore the steep avenues that thread up the coastline. And that’s fine with me. My parents chose to visit Positano for their honeymoon, so I guess it’s in my blood. These European gems may be small, but they are worth the trip to witness a fairytale come to life. If you plan to visit any of these towns, I recommend staying in an Airbnb to get a taste of local life – and be sure to ask your host what it’s like to live in such a beautiful place! Also check out these 11 underrated destinations if you’re looking for more travel inspiration. 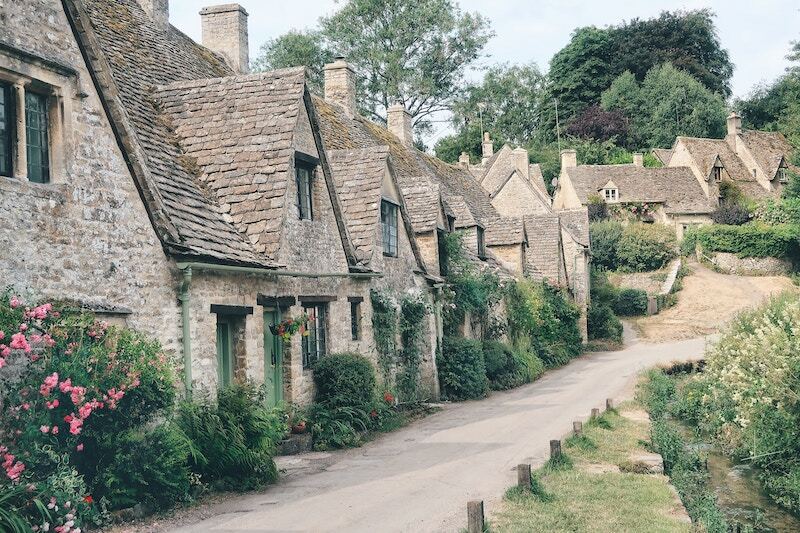 Which magical village tops your bucket list? Have you been to any storybook towns? Was there one I missed? Let me know!